On Friday, September 21, 2012 the Ecology team went on a field trip to the Common Ground Fair. It was a warm sunny day. In my group was Mr. Lovejoy, Austin M, Matt H, and of course me. One of the many cool things at the common ground fair was a composting toilet. You use the toilet, flush it then it goes into a bucket .Once the waste is composted you take it and throw it in a garden. A big reason I think we go to the Common Ground Fair is it’s fun ,and our school grows vegetables and takes them to the fair. We won first prize multiple times. I liked the animals also. There were bunny rabbits, horses, cows, bulls, donkeys and bees. 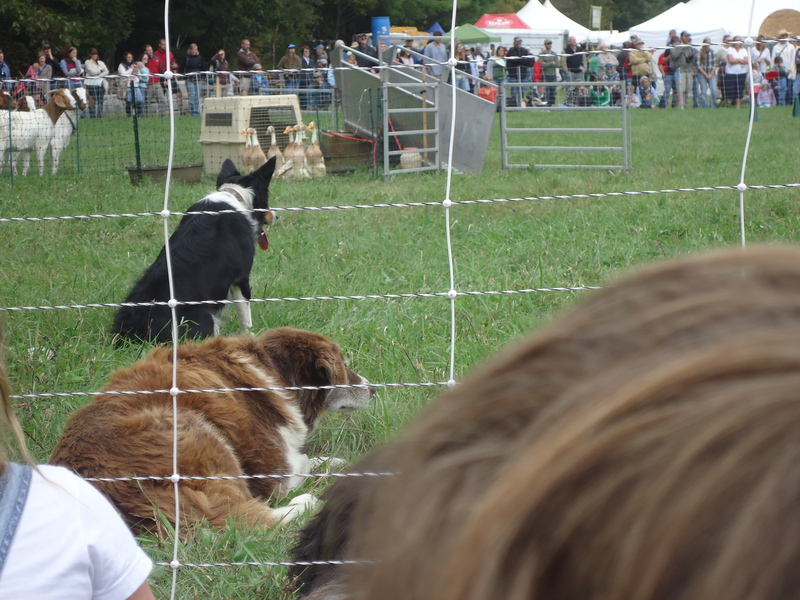 The sheep dogs were awesome; there were five dogs. They must have lots of training to listen so well and know where to herd the sheep. I’ve been learning stuff for fourteen years and I still don’t follow directions well. At the common ground fair the food is the best. I like the fries but the only downfall is I’m always broke and the food is really expensive. There were so many cows at the Common Ground Fair. There were adults, babies,and milking cows. There was this little cow that looked like it could fit in a box and it looked like it was fluffy. 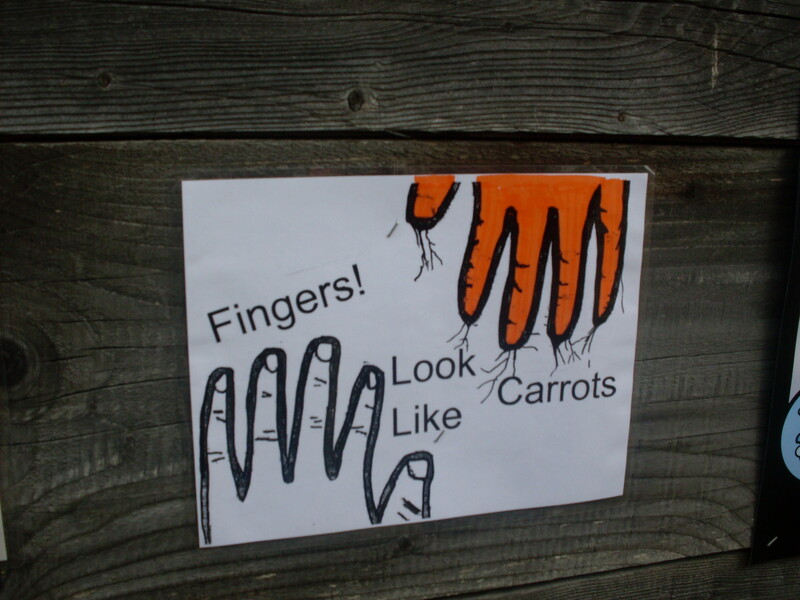 You’re not suppose to touch the cows because your fingers look like carrots. There was a few cows that were so huge they looked liked a boulder. There were even cows that were brown. If you like cows you should check out the animal section at the Common ground fair. On Sep 21, our class went to the Common Ground Fair. One of the most interesting demonstrations I saw was the blacksmith. The experience of watching a blacksmith at work was astonishing. How he can bend the metal to form what he is creating?. The blacksmith made a hook for a little kid around ten years old. Watching him make it was great because the machine that was there was so the air would go under the fire to make it keep going, so you don’t have to keep lighting it every time it went out. Another interesting demonstration was the energy-efficient cars. It had an electric pump with a solar panel to charge it so you don’t have to keep plugging the car in.The car also had a gas tank just in case you run out of power.The only down side of the car is that it costs a lot of money that most people do not have. The experience of the fair is great for the young mind to teach them to compost their food also to teach them to be more efficient. On Friday September 21 I went to the common ground fair. There was so many things to see. My favorite part was the food. I had fries, fried dough, and ice cream. The fries were made from Maine grown potato. The fries were greasy but they were good when you put ketchup on them. The fried dough good but greasy and hot. They had real maple syrup to put on the dough. I also had ice cream. The ice cream was made from all natural dairy products. The type of ice cream I had was wild Maine blueberry. The blueberries were grown in Maine. They had all kinds of foods and drinks. The common ground fair has some good foods. Here at the Troy A. Howard Middle school we don’t have sheep or dogs. All we have are Chickens and Bait fish. I leaned from the Common Ground Fair that you need to be patient with the sheep dogs because some of the dogs might be still learning how to herd or to be a good dog too! When you try to teach them stuff don’t yell at them, just keep trying it with them and have treats ready. Then if then do it right give them a treat. When teaching the dog keep the better taught dog out and they will show them how to do it. Finally we were on the bus. We had been waiting to leave for what felt like forever. Fair. The sign made me even more anxious to be there. We pulled up into the parking lot (along with about 200 other buses) and finally found a parking spot and parked. herd sheep and ducks into pens. The dogs were so well-behaved. When the man called a command the dog was right there following orders.After visiting the sheep dogs we went to the poultry barn. I was in there for two seconds and my ears were bleeding. we went to the bunny barn. I was in fluffy heaven. I walked down the aisles of bunnies. it was then time to go. I looked at fat little Chubby. I petted him on the head and said goodbye. When we were exiting the building I noticed a woman selling hats made from alpaca and black and white hat caught my eye . Instead of buying it I just walked on. My tummy growled I was hungry. I told my group and they all agreed they were hungry too. So we walked down to a long strip of food stands . One of my friends and I decided to get some french fries to share and oh my gosh they were so yummy. We added some sea salt to them and they tasted even better. Me and my group also got doughboys and ice cream! Then after we ate we went searching for our schools vegetables and ribbons.We looked all around the fair …no luck. We were lost and we were running out of time at the fair. Mrs.Smith told us not to freak out. But to tell you the truth in my head I was freaking out. How were we going to find our vegetables and ribbons now? We kept on looking.That is when we saw another teacher from our school. We asked her where our vegetables and ribbons were. She told us right where they were . We walked up to the weird shaped brown building she told us they were in.The whole building was filled with people,ribbons and vegetables.We looked for the vegetables with a twenty on it (standing for RSU 20).We looked around and every once in a while you would hear “found one’’! In the end we had 30 blue ribbons ,30 red ribbons and 20 yellow ribbons. Wow that’s a lot of ribbons !!!!!!! We did really well this year. We left the building after about 10 to 15 minutes and went to a couple of shops. My friends bought things here and there. That is when I remembered the hat . I went and told Mrs.Smith about the hat and she said we could head over to buy it. When we got there I ran over put the hat on my head and ran over and paid for it. Then the hat belonged to me. A minute or two later Mrs Smith said it was time to head back to the bus. I was sad . I wanted to stay longer. But I really did not want the bus to leave without me. So i just followed my group back to the bus. When we got on the bus I looked at my friend and told her all about my great day at The Common Ground Fair. The students on the Ecology team at Troy Howard Middle School went to the Common Ground Fair for the day. At the fair there was many animals such as rabbits, ducks, sheep, horses, cows, chickens, and alpacas. The animals are used for different things such as; the sheep and alpacas are used for wool, the cows and chickens are used for food, cows are also used for manure, and horses are used for traveling (but horses aren’t really used for traveling anymore). Some venders where selling things they made with sheep and alpaca wool. The venders made neat things with the wool like scarves and hats. Personally I don’t like the way fairs treat their livestock. 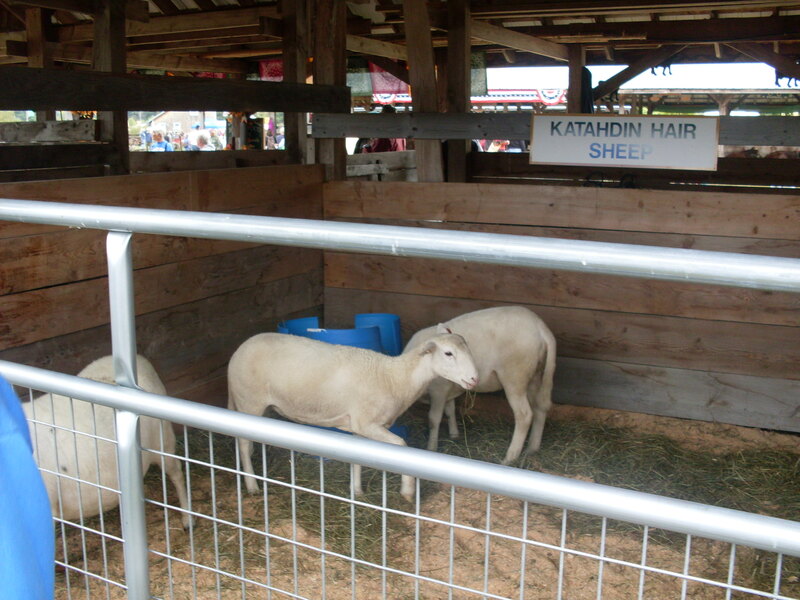 The poor animals are pinned up in pens and getting poked and teased by people for most of the day. While at the fair I saw a girl hang off the neck a horse and pulling on his mane and the animals have to put up with that all day. I would be happier viewing the live stock from far away with them in a large pen where they can roam. That way they would happier and so would I.
Sheep at the Common Ground Fair.